The Big Game is just around the corner. It is one of the most anticipated days of the year, and people will gather far and wide to watch the game. This year, on Sunday, February 4th, the Philadelphia Eagles will be taking on the New England Patriots. 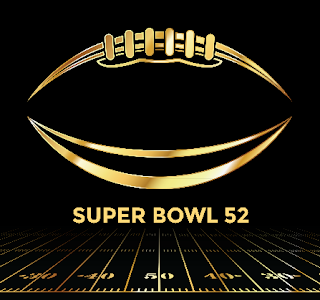 While football fans across the country are gearing up to watch the big game, others may be awaiting the half-time performance and of course some of the best commercials that air. But let’s be honest, one of the best parts of the Big Game is the food you get to eat all day long. Li’l Rizzo’s is excited about the big game and with the best Italian food at the Lake of the Ozarks, we can help make your experience the best. Let’s face it, it doesn’t look like the winter weather is going to be leaving anytime soon. There is fresh snow on the ground and temperatures are freezing. If you’re feeling the winter blues, you should come visit the best Italian restaurant at the Lake of the Ozarks. When you need some delicious, warm, and hearty Italian food, then Li’l Rizzo’s is the place for you. 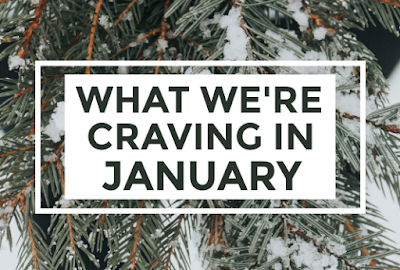 From appetizers to desserts, here is what we are craving this month. Cheese Sticks Cheese worth melting over. Mozzarella sticks, deep fried, sprinkled with parsley flake, parmesan cheese and served with a side of marinara. There's no better way to start a meal than with some delicious melted cheese. Toasted Ravioli Good things come in small packages, and our ravioli is a perfect example of that. Beef ravioli deep fried to a golden brown, topped with parsley flakes, parmesan cheese and served with a side of meat sauce. 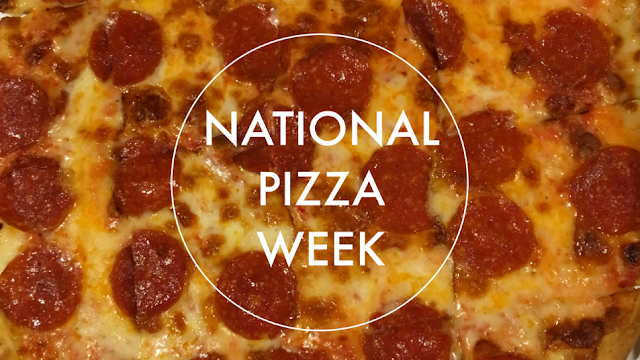 It’s National Pizza Week folks! Here at Li’l Rizzo’s, we LOVE our pizza. Whether you enjoy your pie hand tossed or you prefer a thinner crust, there’s one thing that we can all agree on and that is that pizza is delicious! Have you ever wondered where pizza actually came from? Well, we have some information about pizza for you this week. Check it out below and then come into the best Italian restaurant at the Lake of the Ozarks to celebrate National Pizza Week. Just like many other foods and dishes, the origin of pizza is still uncertain. When people think of pizza, most people think of it as an Italian creation. Little do they know, pizza can be traced back to the Ancient Greeks. We know, it’s a little confusing. The Ancient Greeks would cook flatbread in mud ovens and then they would top it with oils, herbs, spices and even dates. Tomatoes were yet to be discovered at that time, and they probably wouldn’t have found their way on top of their pizza if they were. With gourmet pizza, pasta, world-famous house salad and legendary service, there are many reasons to enjoy a meal at the best Italian restaurant at the Lake of the Ozarks. Besides our amazing food and service, we also have great specials throughout the week from wing specials to the best Happy Hour at the Lake of the Ozarks. 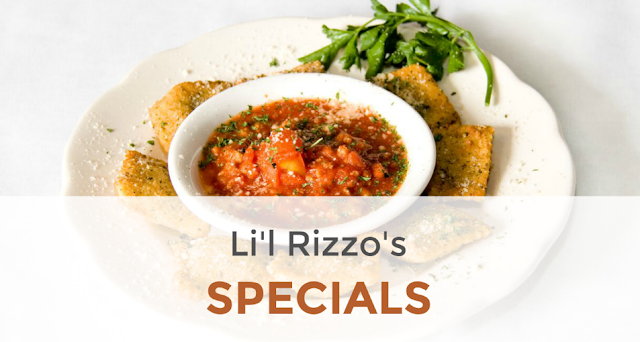 Keep reading to learn more about the great specials that Li'l Rizzo's offers. Join us for the best Happy Hour at the Lake of the Ozarks Monday through Friday from 3:00 - 6:00 p.m. During Happy Hour at Li'l Rizzo's, you can enjoy specials on drinks and all your favorite appetizers at half price! From our delicious spinach, green chili & jalapeno dip to the traditional bruschetta, all of our mouthwatering appetizers are half priced during the Lake of the Ozarks best Happy Hour!